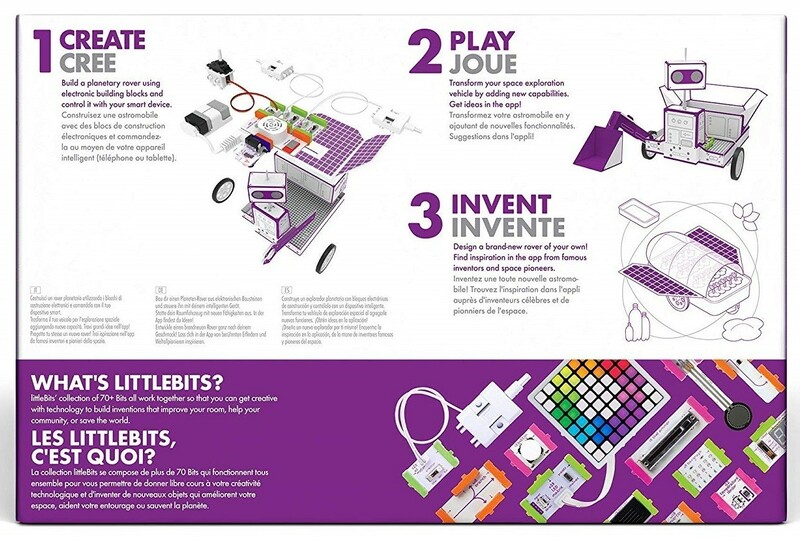 Build an awesome space rover with this kit from littleBits! 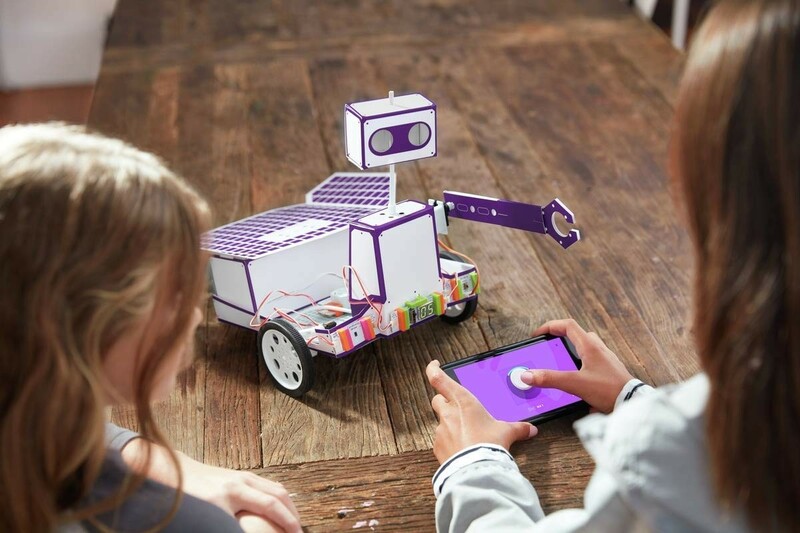 littleBits electronic building blocks snap together with no glue or soldering, making them an easy way for kids (and adults!) to engineer and prototype. 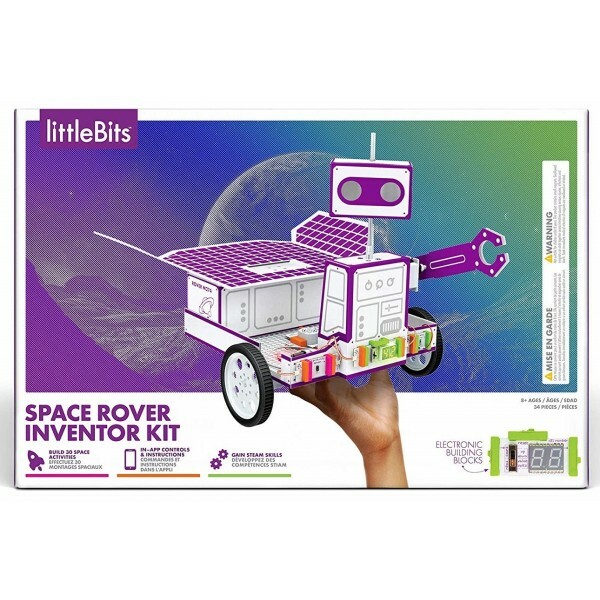 In this kit, kids will use the components to create a variety of space-themed inventions drawing on real-life challenges facing space exploration today, including a space rock collector and an alien life detector. Once they've tried the included projects, they can experiment with their own inventions. 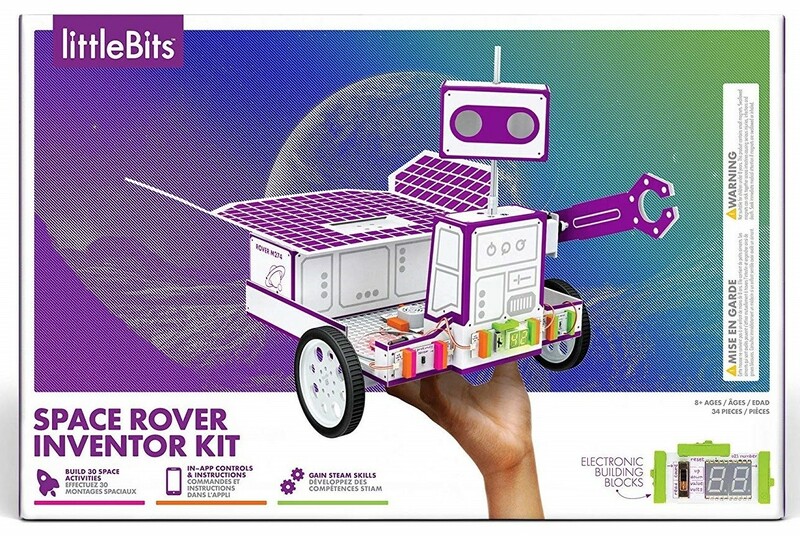 This littleBits kit comes with 34 components, and includes a free app download that guides kids through 30 space-themed projects so they can complete missions inspired by NASA astronauts. It even includes stories of real-life space pioneers that will spark your budding engineer's creativity! Plus, it's compatible with other littleBits sets — so for more kits to add to your toy box, visit our littleBits Collection.